Pundits and, for that matter, the Obama campaign were right to ding Mitt Romney’s foreign policy address Tuesday for banging the table instead of putting anything substantive on it. But what could Romney do? Obama has given him almost nothing to work with. Foreign affairs won’t decide the 2012 election, but, if it did, President Obama would win walking away. Replying to Romney’s speech, Robert Gibbs, an Obama adviser, said this: “It’s widely accepted that President Obama has an exceptionally strong record on national security issues, and I think, quite frankly, Mitt Romney is having a hard time making an argument against President Obama on these issues.” It pains me, as a supposedly crankily skeptical journalist, to agree with a partisan spin doctor, but here goes: Gibbs is right. I never drank the Obama Kool-Aid in 2008. The then-candidate’s promise of “a new kind of politics,” I wrote in National Journal at the time, “borders on chicanery.” Replace partisanship with pragmatism? Set aside ideology to take the best solutions from both parties and ease the country out of its mess? Fat chance, I said. Well, for the record, I hereby eat half a crow. Whatever you may think of Obama’s domestic and economic records (which we can debate some other time), on foreign policy he has delivered the post-partisan, pragmatic, and generally successful policy he promised. Two major surprises have marked his presidency, one negative, one positive. On the downside, the silver-tongued orator who inspired millions as a candidate turned out to be a mediocre communicator as president. On the upside, the greenhorn candidate who had barely any experience of, or interest in, foreign policy has proved to be an impressively adept presidential diplomat. On almost every front internationally, he has improved the country’s position since 2008. A surprising thing about the other two surprises is they are two aspects of the same phenomenon. The reason Obama exceeds expectations on international relations is the same reason he disappoints at domestic communication: his style is technocratic, undemonstrative, and patient—not so good for galvanizing the public in a time of economic crisis, but great for diplomacy. Great? Well, at least very good. Greatness comes from winning cosmic conflicts like World War II and the Cold War, and at present we are fortunate not to be engaged in any and therefore not to need a great leader. (Remember, in this connection, the wisdom of Calvin Coolidge: “It is a great advantage to a president, and a major source of safety to the country, for him to know he is not a great man.”) In ordinarily messy, disorganized times like these, success in foreign policy means navigating treacherous currents safely, avoiding major mistakes, leaving the country stronger than you found it, and hopefully nudging the world forward a little. By that measure, Obama has done well. An exception was his naïvely conceived and clumsily executed run at the Israeli-Palestinian conflict. His rookie flailing set back the peace process (such as it was) and made him look like a doormat. But he learned from his mistakes. And consider the positive side of the ledger. Ending two wars. He has closed out the war in Iraq on acceptable terms. He is on course to do the same thing in Afghanistan. Ending two wars is a big deal. Stabilizing relations with Russia. Russia-U.S. relations were in a tailspin when Obama entered office. Thanks to the Russia “reset,” they are stable today. Russia could certainly be more cooperative on Iran and Syria, but it is quietly helping us in Afghanistan (where it could instead be a major irritant) and generally not putting bite behind its bark. Stabilizing relations with China. The administration built enough capital with Beijing to smuggle a prominent dissident out of the country with barely a diplomatic ripple—an extraordinary thing, if you think about it. Hardly less extraordinary is that the administration’s “Asia pivot,” which is really a move to counterbalance China, is also clicking smoothly into place. Isolating Iran. Partly thanks to Obama’s show of willingness to negotiate, Europe is joining with the U.S. in boycotting Iranian oil, a remarkable show of solidarity behind exceptionally tough sanctions. Sanctions may yet fail, but Obama’s patient approach has weakened Iran’s position and built a consensus that will make further steps more effective. Oh, and Israel hasn’t bombed Iran and Hezbollah hasn’t bombed Israel. Strengthening America’s brand. In Europe and most of the rest of the world (Muslim countries being important exceptions), the United States is significantly more favorably regarded than when he took office. That is bankable soft power. Prosecuting the war on terror. Obama has been so successful at continuing and refining the most effective elements of Bush’s counterterrorism policy, while taming its provocative excesses, that Republicans don’t even want to raise the issue. Pinch me. No, everything is not hunky-dory. And, no, a short article like this one cannot provide anything close to a textured appraisal of foreign affairs in the Obama years. But I think even a long, detailed, textured article would come in the end to two questions and two fairly clear answers. First: in foreign affairs, are we better off than we were four years ago? Answer: yes. Second: on the geopolitical scene, have we experienced any grave crises or setbacks? Answer: no. And that is why Romney has so little to say. Or, rather, it is one reason. 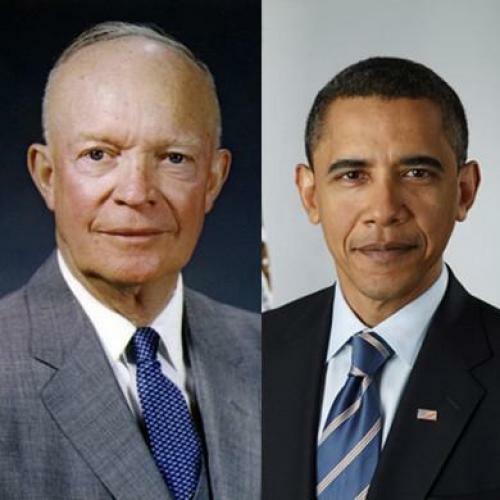 The other is that Obama has planted himself and the Democrats exactly where Romney, by rights, ought to be: on the kind of pragmatic realism that Republicans like Dwight Eisenhower and George H.W. Bush used to own.